CCFOA is now affiliated with Giant Food Stores. Supporters can go to any GIANT store at any time throughout the year, purchase a Bags 4 My Cause Bag and use the attached Giving Tag to direct a $1 donation to your organization within 7 days of their purchase. You can find the Bags 4 My Cause Bag with the Giving Tag on the reusable bag rack at the store. The program is ongoing and there is no limit to how much you can raise. Donation checks are sent out quarterly, so this is a great way to receive funds four times a year! 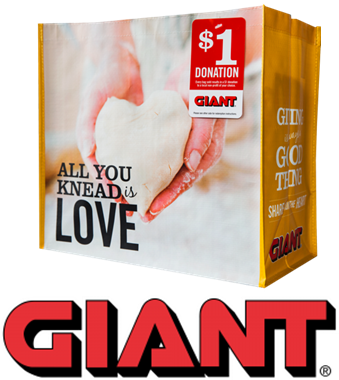 When it’s time to do your grocery shopping, consider shopping at Giant and your purchases will help support CCFOA!